If you have any questions about the THALIA information page below please contact us. 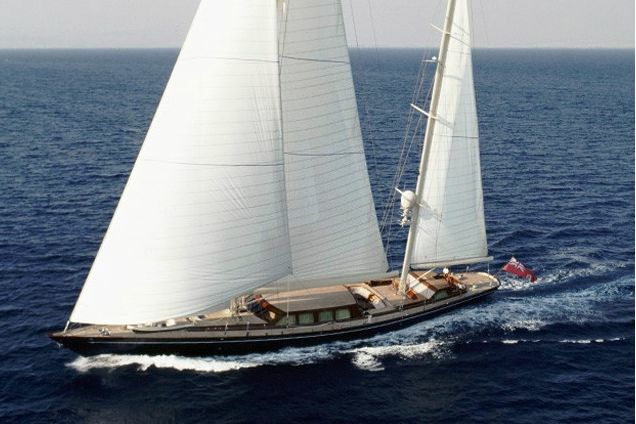 The sailing yacht THALIA is a 49 metre 159 (ft) ample steel ship which was manufactured by Vitters Shipyard Bv and her design is by Ron Holland Design. 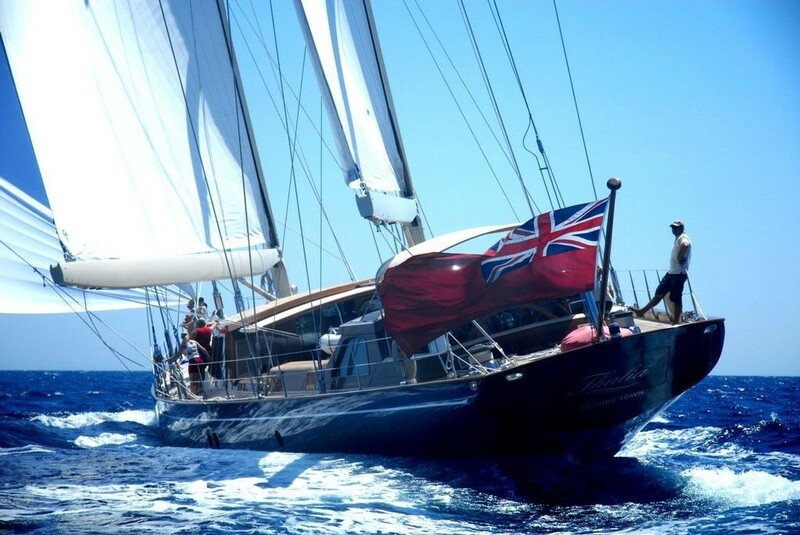 Accommodating 12 guests and 8 crew members, sailing yacht THALIA is ex 3012. 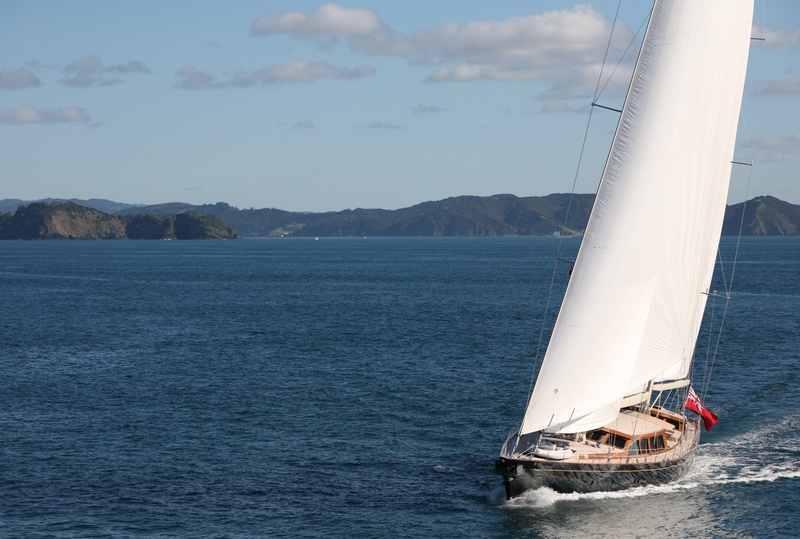 This graceful boat was created from a naval architect called Ron Holland Design. Elmar Meurer was involved in the interior design. 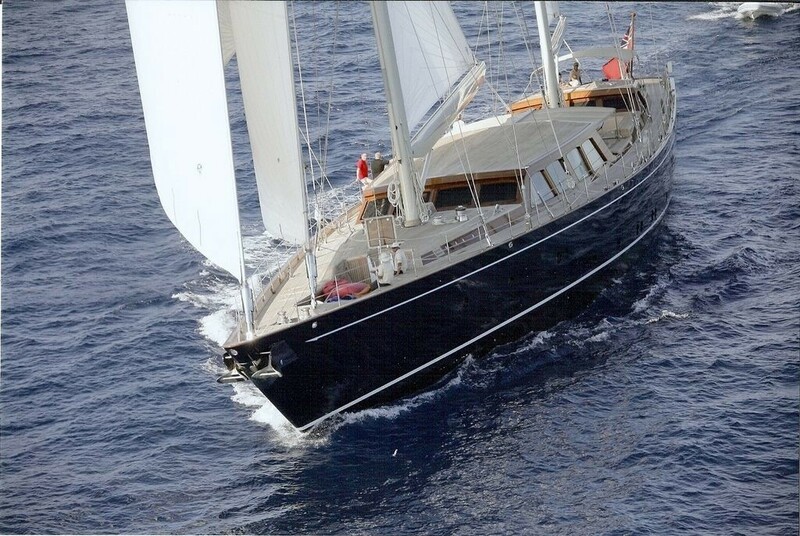 Sailing yacht THALIA is a fast, graceful and luxurious 48.5 metre (159 ft) ketch. 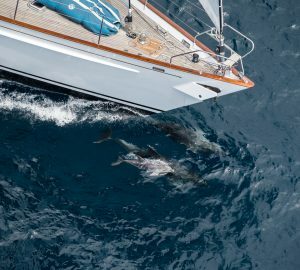 Designed by Ron Holland for extensive ocean cruising to remote areas, she offers a high level of reliability and self sufficiency. Sail yacht Thalia has a low profile and carefully designed seating areas providing unobstructed views and the ability to feel close to the water while staying dry. Ron Holland Design was the naval architect firm involved in the technical vessel plans for THALIA. Her interior design was completed by Elmar Meurer. Ron Holland Design is also associated with the yacht wider design collaboration for this boat. 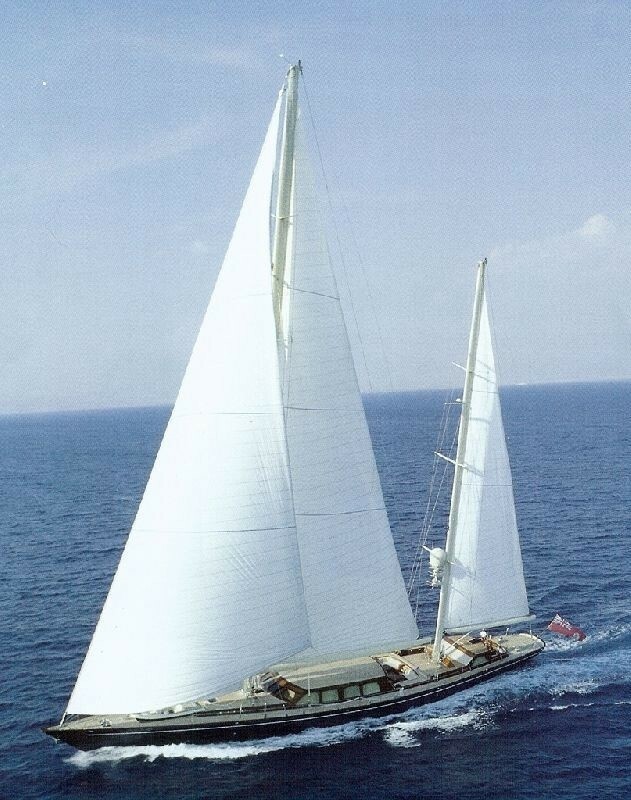 In 1994 she was actually launched to triumph in Zwartsluis and following sea trials and finishing touches was afterwards handed over to the owner who commissioned her. Vitters Shipyard Bv completed their new build sailing yacht in the Netherlands. A spacious area is manifested with a total beam (width) of 9.69 metres / 31.8 feet. With a 4.11m (13.5ft) draught (maximum depth) she is deep. The material steel was used in the building of the hull of the sailing yacht. Her superstructure over the hull is fashioned out of aluminium. In 2008 further refitting and updating was also performed. Installed with a sole CATERPILLAR diesel main engines, THALIA will reach a high speed of 14 knots. Her propulsion units are a single screw propeller. Her total HP is 1100 HP and her total Kilowatts are 809. As for bow thrusters she uses Vosper. 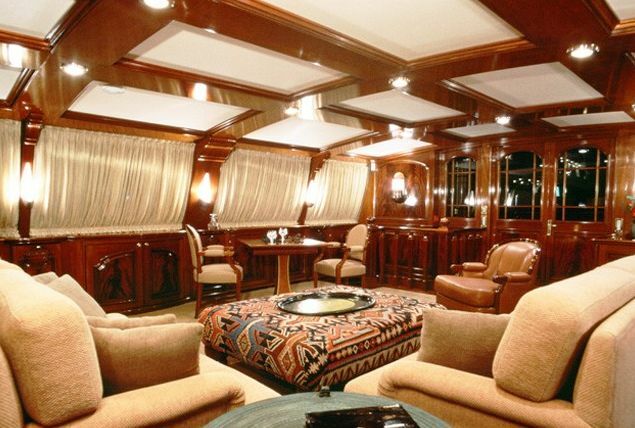 The ample luxury yacht S/Y THALIA can sleep a total of 12 guests and 8 qualified crew. 48.5 metres / 159.1 feet. Her Engine(s) is one 1100 HP or 809 kW Caterpillar. The Model type is 3508 DITA diesel. Caterpillar 1 times 85 kilowatts, 1 times 50 kilowatts. During October 2009 THALIA cruised Cairns, in Australia. THALIA has cruised the location including Queensland during October 2009. Eastern was the outfit that installed the air-con on this vessel. Her deck material is predominantly a teak deck. The luxury yacht THALIA displayed on this page is merely informational and she is not necessarily available for yacht charter or for sale, nor is she represented or marketed in anyway by CharterWorld. This web page and the superyacht information contained herein is not contractual. All yacht specifications and informations are displayed in good faith but CharterWorld does not warrant or assume any legal liability or responsibility for the current accuracy, completeness, validity, or usefulness of any superyacht information and/or images displayed. All boat information is subject to change without prior notice and may not be current.